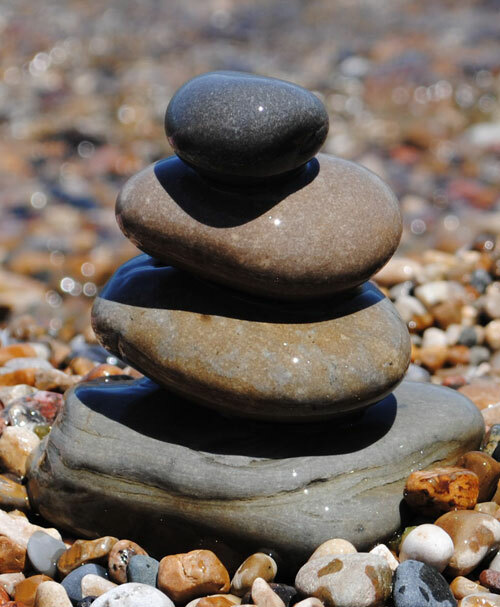 I took a mini vacation last week, blue sky, crystal clear water and not a soul in sight….ahhhhh. 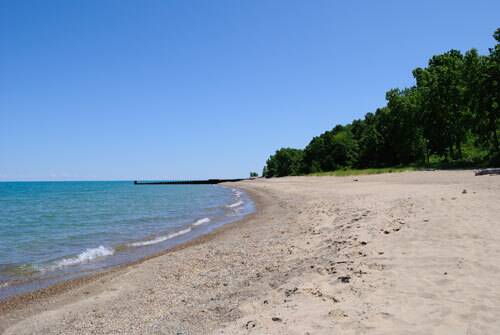 If I told you this beach is 40 minutes from down town Chicago would you believe me? I have discovered a secret place along the shores of Lake Michigan! Now I am not one to laze around on the beach sunning myself. For a start I burn at the drop of a hat and I get bored. 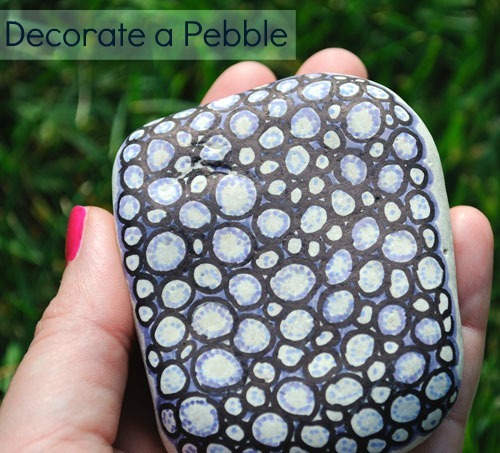 and collect stuff like sea glass (ok lake glass in this case) and beautifully smooth pebbles to take home and turn into something pretty. 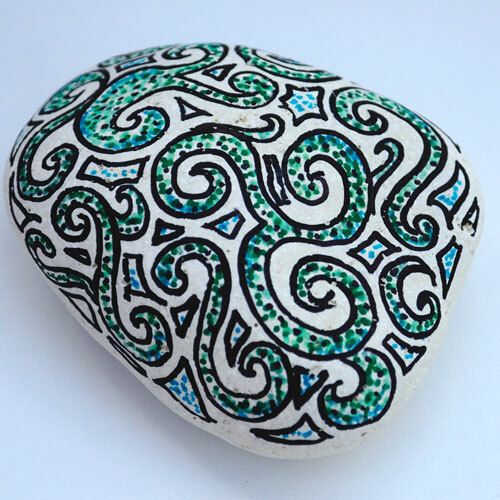 A pot of sharpies and a bit of creativity later and I have a selection of decorated pebbles. These would be a great project to do with kids of any age. This entry was posted in Coastal Crafts, Craft Projects, Decorative Accents, Natural Materials, Trash to Treasure. Bookmark the permalink. 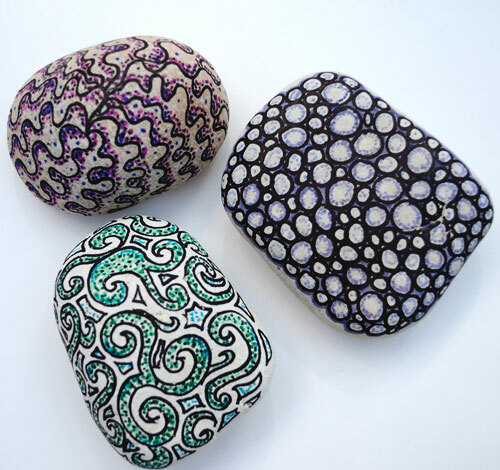 Love the decorated lake rocks! Not made it over to the Michigan side yet…sounds lovely. It looks gorgeous – share the secret? I promise I won't tell! Small world!! We LOVE Fort Sheridan and frequent there every time we are in the suburbs for my husband's work. It's absolutely gorgeous there!! 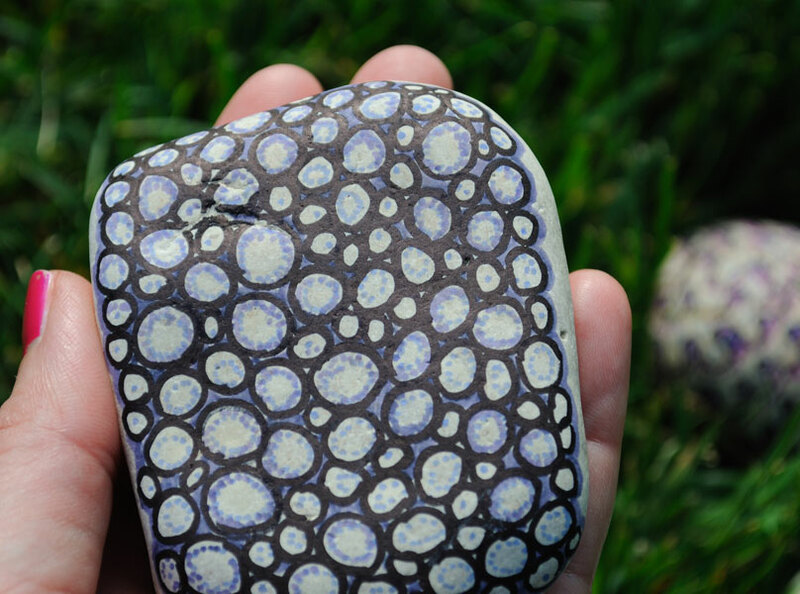 My kids are always begging to take home rocks and other treasures. Next time we are there we will definitely be gathering some driftwood so that we can make this project!